"In 2003 Manchester United's David Beckham was probably the best known footballer in the world and during a fall out with manager Alex Ferguson he was hit in the head by a flying boot! The paparazzi were desperate to get a photo of his injury so when he was spotted the following day the pictures taken appeared on the cover of newspapers globally... it was quite a powerful image! 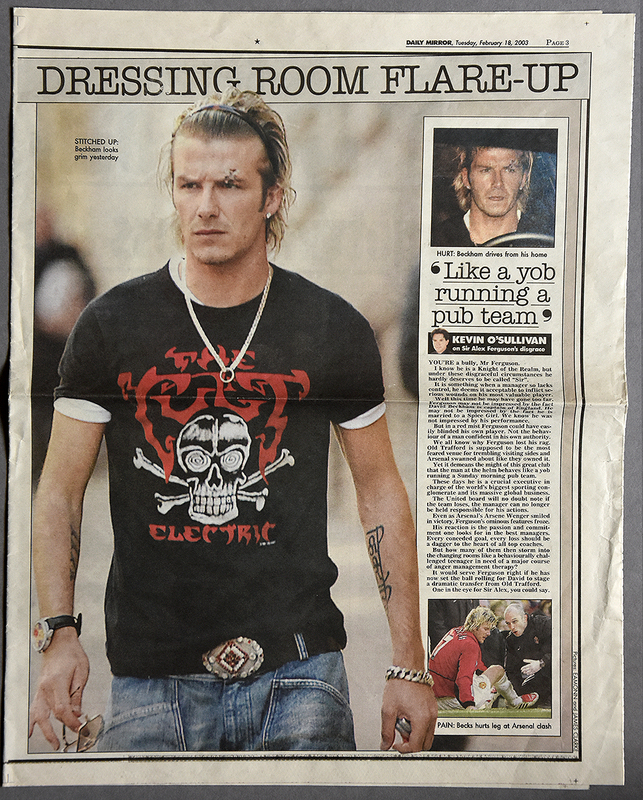 As a massive Manchester City fan I was conflicted because part of me wanted to forbid him from wearing a Cult shirt... however, I'm glad I didnt go there hahaha"